In fact, the proportion of crimes resulting in a charge or summons fell by two percentage points in a year, continuing a downward trend from a high of 15 percent in 2015, a report published Thursday shows. In the 12 months to March this year, 443,000 crimes out of 4.6 million resulted in a charge or summons, the Home Office document said. On the same day, the Office for National Statistics (ONS) revealed that, over the same time period, sexual offences have risen by 31 percent, knife and sharp implement attacks by 16 percent, and homicides by 12 percent. Overall, the number of recorded crimes rose by 11 percent to 5.5 million offences, the highest level in more than ten years. The statistics represent the fourth consecutive rise in violent crime revealed by the ONS and exposes the crime wave sweeping the nation, which appears to be heavily concentrated in Sadiq Khan’s London, and which shows no sign of abating. Knife crime has been a particular problem in London, rising by more than 30 percent and the homicide rate overtaking New York City earlier this year. Despite this, last month, it was reported that police in the city solves just one in ten knife robberies. Thursday’s Home Office report claims part of the reason may be “improved crime recording processes by the police” and “the changing crime mix with rising numbers of complex crimes such as sexual abuse”, which are more complicated to investigate. 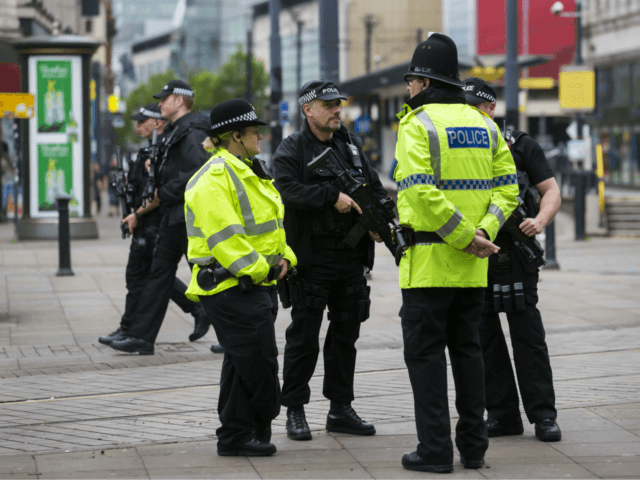 Critics and large sections of the public, however, blame weak politicians, politically correct policing, and a focus on speech and “hate” crimes, and point out that crime has been falling in Germany and France as it surges in the UK.